MFA Thesis Exhibition: "Sustained Pause"
I'm thrilled to announce the thesis exhibition for my MFA cohort, which will be on view at Joseloff Gallery in Hartford, CT this August. 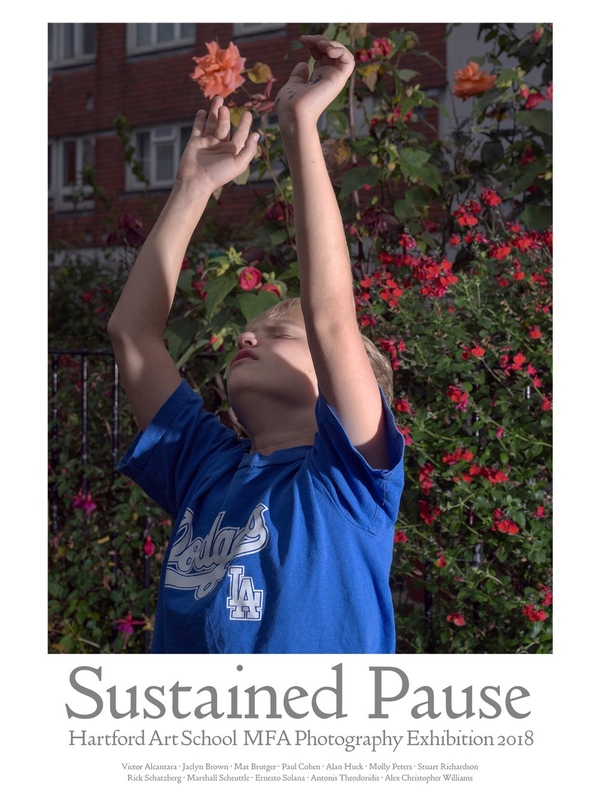 “Sustained Pause” is a group exhibition presenting the work of twelve photographers, all from the 2018 graduating class of the International Low Residency MFA in Photography at the Hartford Art School - University of Hartford. The exhibition draws together a diverse range of approaches to the medium and its attendant subject matter, collectively demonstrating the abundance of our visual world in its varying states of wonderment, perplexity, and joy. The show will feature an array of portraiture engaged with the complexities of aging, trauma, and interpersonal relationships, along with work that shifts its focus to the natural world and our sometimes fraught relationship to it. Other artists included in the show move toward photography’s boundaries, employing it as a means of extending the formal practices of sculpture and essay-writing. Also on display will be a collection of book publications produced by the artists. “Sustained Pause” features works by Victor Alcantara, Jaclyn Brown, Mat Brutger, Paul Cohen, Alan Huck, Molly Peters, Stuart Richardson, Rick Schatzberg, Marshall Schuettle, Ernesto Solana, Antonis Theodoridis, and Alex Christopher Williams. Molly Peters Photography NEWS MFA Thesis Exhibition: "Sustained Pause"